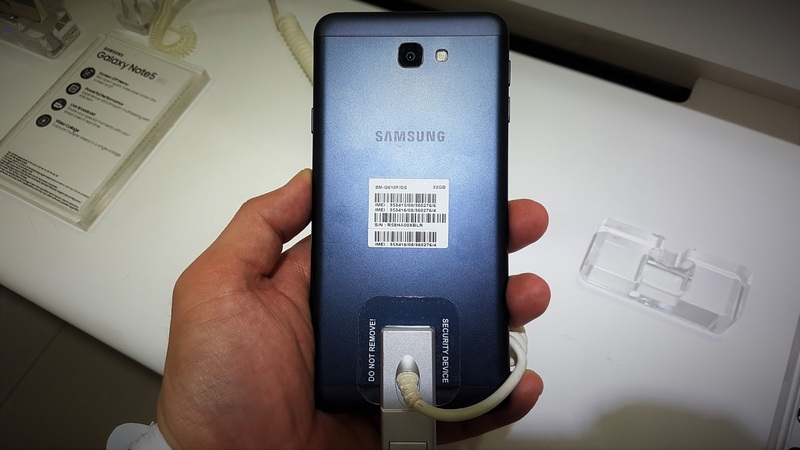 [NEW GADGET] In 2016, when we think of Samsung, Note 7 will occupy our mind. 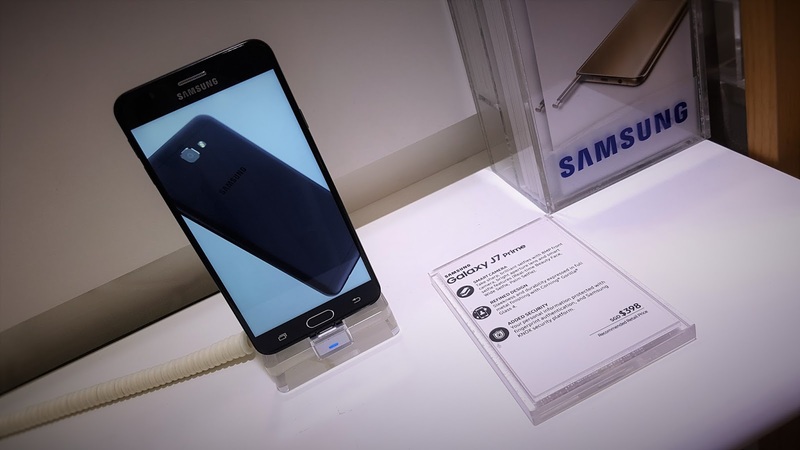 But for Samsung, life goes on and they introduced a new mid-range, Samsung Galaxy J7 Prime. I have the honour of meeting the J7 for the first time in the Samsung store at AMK Hub. And here are 3 things about my new acquaintance. J7 Prime is the most expensive J series phone Samsung has ever released, perhaps the name "J7 Prime". Because Samsung J7 Prime is no where close the the likes of Samsung J3/J5 (link) in every aspect of a modern smartphone. That also means it's closing in the price gap of the Samsung most famous mid-range, the A series 2016 (all "A series" reference in this article is referring to A Series 2016). Specifically, if you are considering a mid-range Samsung, now you have one more option. Released nearly one year apart, the A series come in 3 models, A3/5/7 ranging from S$398 to S$598. J7 Prime is Recommended Retail Price is S$398. A3 has the same RRP but spots a 4.5" screen and no fingerprint sensor. 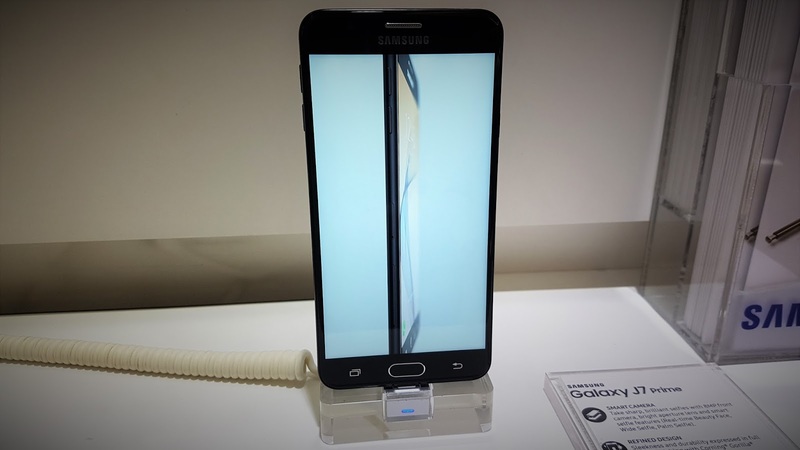 A7 with a 5.5" screen is the closest "apple-to-apple" comparison to the similar 5.5" Samsung J7 Prime. It's a cool S$200 difference in price but is the gap that wide apart? J7's front is typical Samsung look. For one, the visible biggest difference is the display in J7 Prime, a IPS LCD instead of the Super AMOLED in which Samsung deploys in these flagship and A-series. As well without the 2.5D glass found on A series, the display is a big difference. AMOLED screen is just so much more vibrant, but I suspect this could be a case of preference. Internally, J7 Prime spots Samsung made Exynos 7870 processor and this is even a better chip than those in A series. 3GB ram and 32GB are more than decent. Despite a similar 13MP f1.9 shooter in the A series, J7 Prime lacks OIS (Optical Image Stabilizer). That said, some reviews concludes J7 Prime camera to be excellent. J7 Prime being a new product thankfully comes with the new Android 6.0 (Marshmallow), whilst it is not Nougat (7.0). Samsung Pay is not supported, for the record as J7 Prime does not come with NFC. Fast charging is not available with J7 Prime, with a 3,300 MAh battery it is just about the same as the A series. J7 Prime feels great in hand, much lighter than the A series. Brushed metal finish with zero camera protrusion ensured an overall slim design. Samsung made a necessary exterior distinction here, J7 Prime doesn't use the cheap plastic used in low end phones as well as the expensive glass finish in the its S and A series. Lastly and very importantly, J7 Prime incorporated a surprise; an always-ready home button. By that I mean the phone is unlocked the moment finger is placed on the home button without actually pressing the button! This is always one of my biggest gripes with my Samsung Galaxy S7 Edge, that I have to click the home button once then the unlocking happens. J7's back is metallic, a rarity for Samsung. So another week, another new phone selling at S$398. The lack of AMOLED screen, 2.5D glass, OIS and metallic material are the main differences from the A series. While the A series is due a refresh soon, A series 2017, if you only have S$400 budget but wanted a Samsung device with 5.5" screen, look no further. J7 Prime is an option that competes very well with Samsung other A series. That said depending on your priorities and view of the Note 7 debacle, Samsung as a brand may given itself an advantage and disadvantage at the same time. Elsewhere in the market, the past month seen the debuts of ASUS Zenfone 3 and SHARP Z2. And this is a sign of that the local smartphone market is reaching a saturation point. 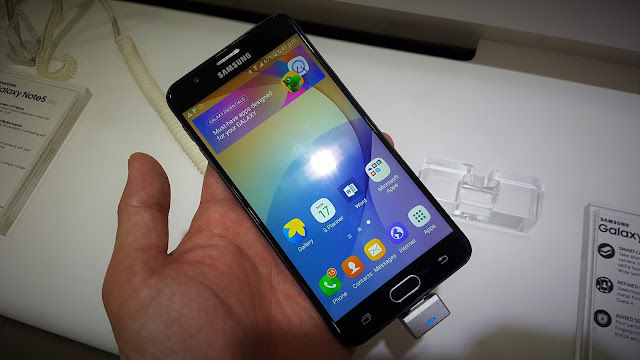 Which I believe Samsung J7 Prime offers tremendous value for the price. Feels light in the hand, at least lighter than the A-series.